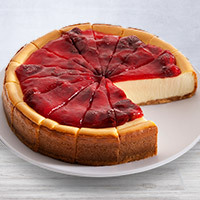 The only way to make our traditional New York Style cheesecake any better is to adorn it with farm fresh strawberry preserves for a taste that is truly gourmet! 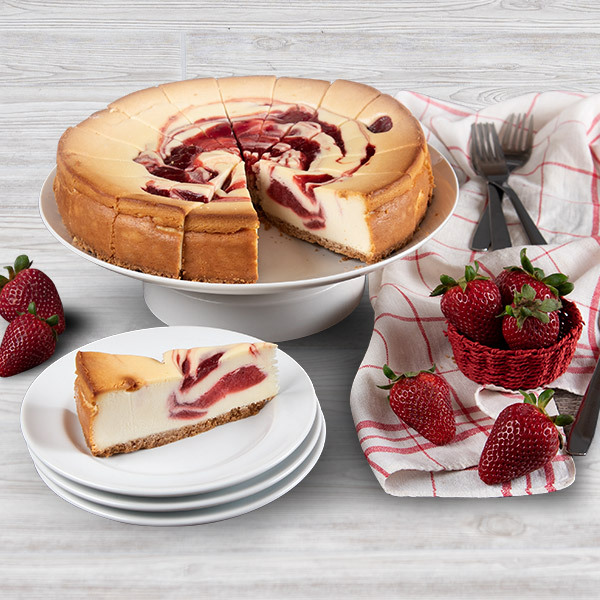 Our 9 inch 60 oz Strawberry Cheesecake is made from only the finest ingredients and boasts a crunchy graham cracker crust. 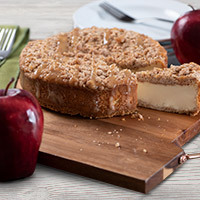 Each bite delights with creamy cheesecake, plump strawberries and sweet graham crackers. This is my first time ordering from them. This cheesecake is very good! The strawberries were cold and fresh as well. My wife likes the New York Style cheesecake. She prefers the strawberry topped New York Style cheesecake, but says the one that was in stock is good also. The chocolate chip cookies are good also, says my wife who was the recipient of the gift. I purchased a Strawberry Cheesecake for my mother's birthday. It was delivered to her and she was very happy and very please the way they packaged her cheesecake. The taste was wonderful and most of all it was nice and fresh. We will order again with this company. From me and my family especially my mother we would like to say ThankYou.